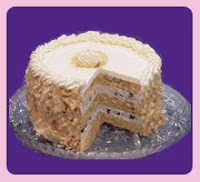 Ms. Celiac Says...: Want Some Low Carb Cakes??? Although most of us reading this site are on gluten free diets for a variety of reasons, some of us are battling other health conditions that impose dietary restrictions in addition to the gluten free diet. For those of you with diabetes, crohn's disease, and food allergies you may want to check out a company that makes delicious cakes and snacks that are not only gluten free but sugar free and low in carbohydrates! This company is called The Best Ever Low Carb Cakes and is located in Massapequa, New York. 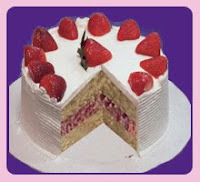 They have an assortment of cakes or can make custom cakes for birthdays or other special occasions. For more information, please visit their website at: www.besteverlowcarb.com.